Originally from Massachusetts, Matt W. Moore is bringing his fine-tuned, self-proclaimed “Vectorfunk” style back to the state with a well rounded body of work this weekend. 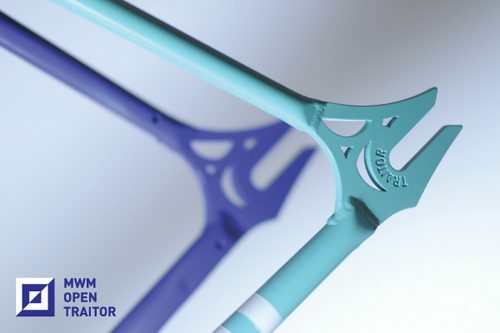 Matt will be showing his signature canvas work, a small series of prints, as well as presenting a project in part with Open and Traitor Cycles – a series of five hand-painted frames, a cycling cap and t-shirt. Matt is in the middle of a global gallery takeover, you can see images from his last show in Sao Paulo, Brazil here and expect to see him cross the Atlantic for a show this fall. Opening Reception is SATURDAY at 8pm. Check out the Chorus site, www.chorusgallery.com and Matt’s site, www.mwmgraphics.com for more information. 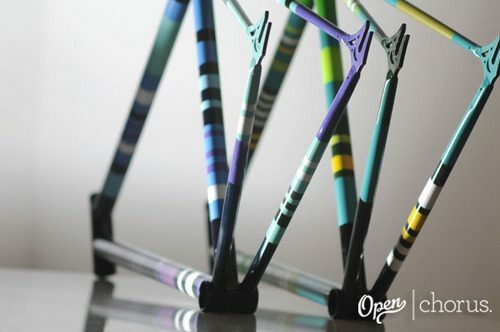 Handpainted frames, prints, t-shirts and caps will be available for purchase on Open’s site, Monday Aug 17th, along with the photo and video recap.